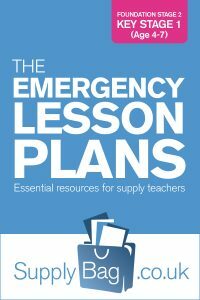 These emergency lesson plans for Year 1 and Year 2 ICT are only to be used by supply teachers who are faced with no planning or easily accessible resources. Create a poster on a topic being studied. Write a question relating to a topic they are studying and see if they can find the answer. Ask other students their favourite colour and record it on a graph. Draw and label a computer – what are the different parts, what are they used for? Use work completed in literacy and type it up and print it off. In pairs type and illustrate a poem from a book in the classroom, print off to make a class anthology. Brainstorm all the different types of ICT and its uses.